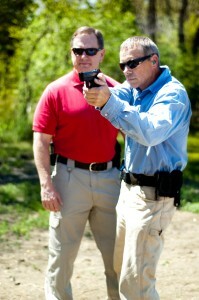 At the American Firearms Academy we have developed a solution, the American Firearms Academy Continuous Training Program. Everyone is running into the same problem, they want to continue to expand the skills they learned at the American Firearms Academy and learn new ones, but where? How about the opportunity of coming back to “the mountain” a couple times a month? Please check back on this page to verify monthly date schedule. You will practice the skills you learned in your previous Private or Multi-Day class, and learn new skills that were not covered in your prior training. To qualify for the Continuous Training Program you must have taken either multi-day or private training with the American Firearms Academy. Cost: Just $600 for a full year – That’s only $25 per two hour training session!